Sometimes your VPN may stop working or there may be speed issues. 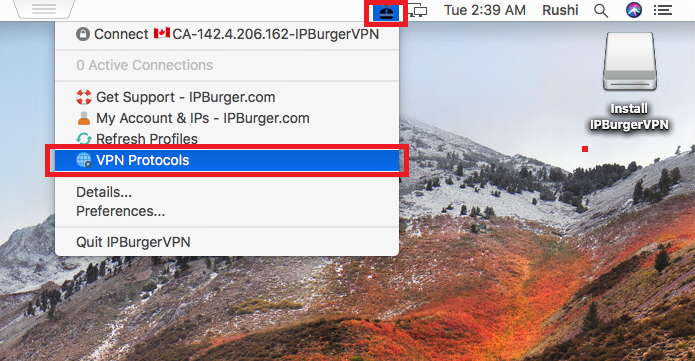 There are many reasons why you would face these issues, some misconfiguration in the OS, or your ISP blocking your VPN connections, interference of other software (especially antivirus) on your computer, etc. All of these issues are fixable. Let's explore a quick way to fix them. Follow the below-mentioned steps and you will be able to fix most of the issues here. 1. A simple restart of your computer can fix issues most of the time. 2. Refreshing profiles will download new profiles. 3. 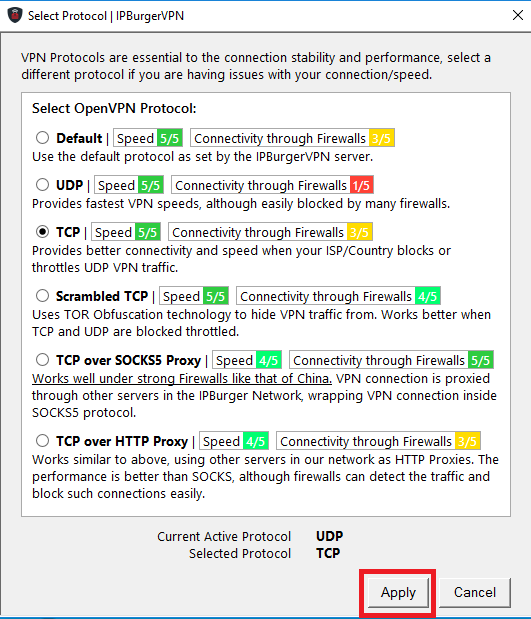 Sometimes Internet Providers block UDP VPN connections. In that case, TCP, Proxied TCP or Scrambled TCP profiles can solve connection/speed issues. ii. Choose TCP, Proxied TCP, Scrambled TCP, Socks5 one by one and click apply. Try all of these profiles one by one and see which one connects better. 2. 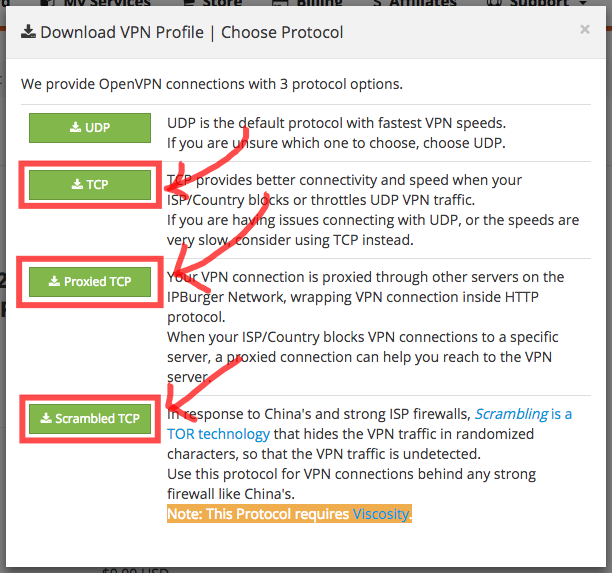 Re-downloading your VPN profile from Client Area and is recommended. i. Go to services and click on the IP you want to fix. ii. 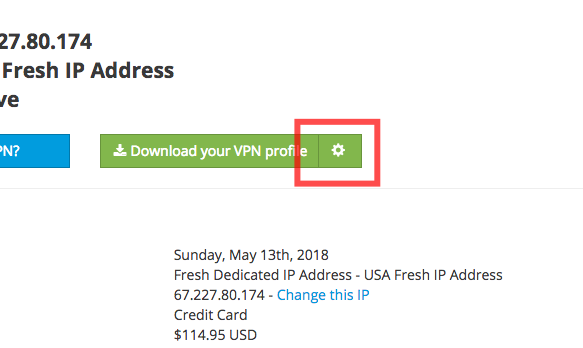 Click on 'Download VPN Profile' button. Once downloaded, double click on the file to import it into the software. i. Go to Client Area -> MyVPNs -> Your IP -> Click the Clog icon on the right side of Download Profile Button as shown. ii. Choose TCP, Proxied TCP, Scrambled TCP, Socks5 one by one and import them into the software. These steps should fix most of the issues. If you are still facing any issues or if you need more help, feel free to reach out to our support department.